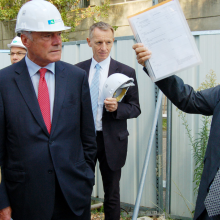 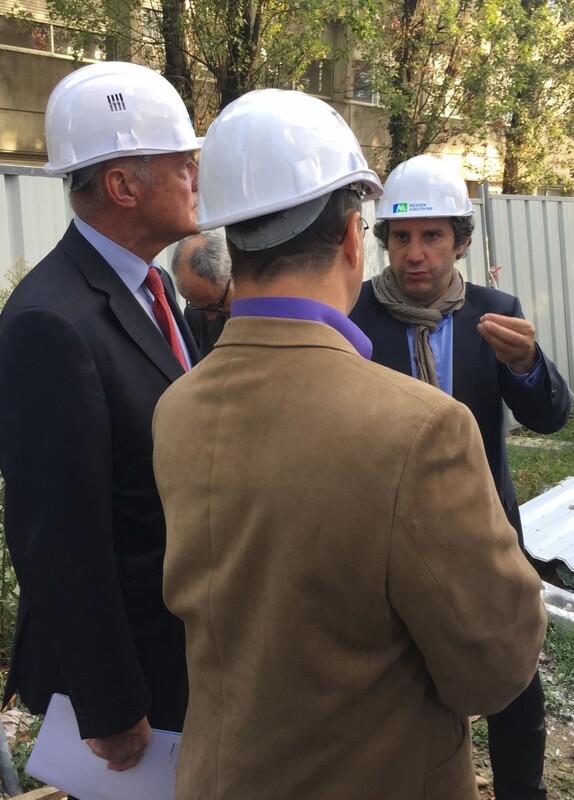 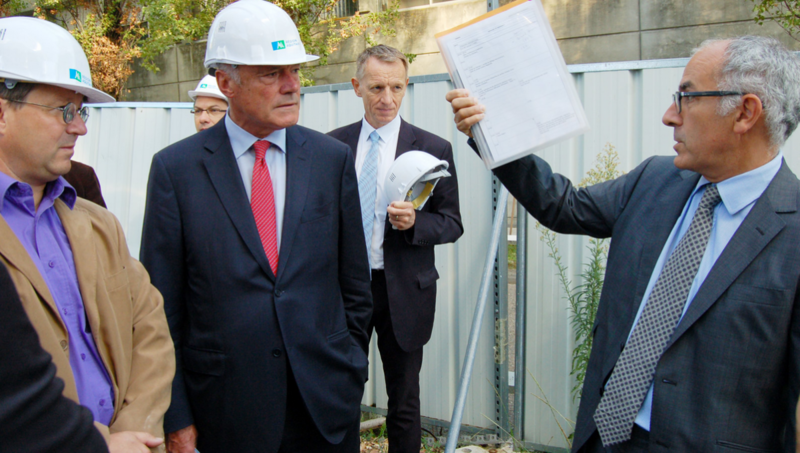 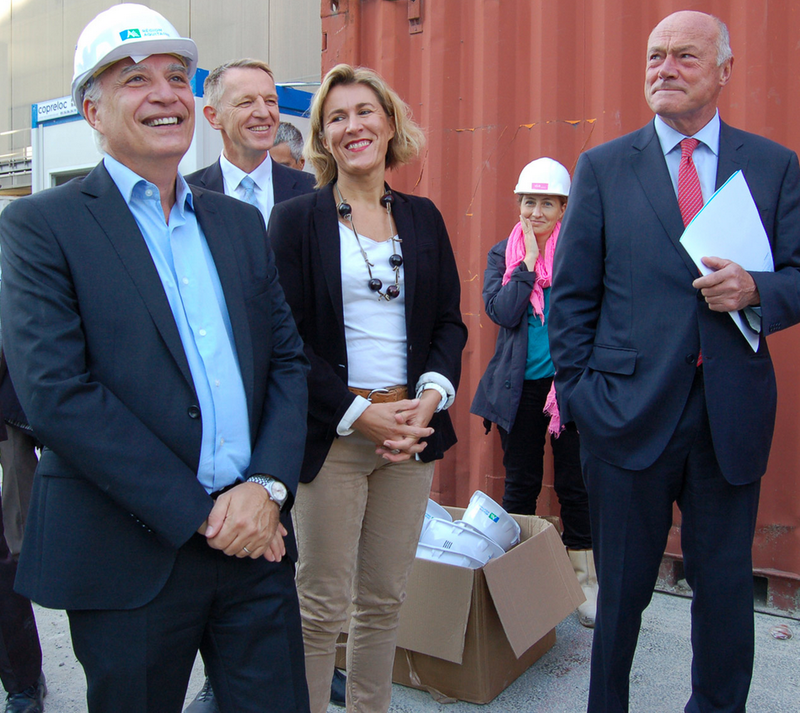 After the ceremony of laying the first stone 10 months ago, Mr Alain Rousset, President of Aquitaine Regional Council, came to realize the progress of work of our future building. 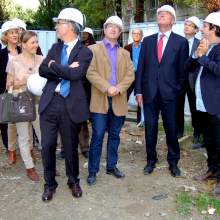 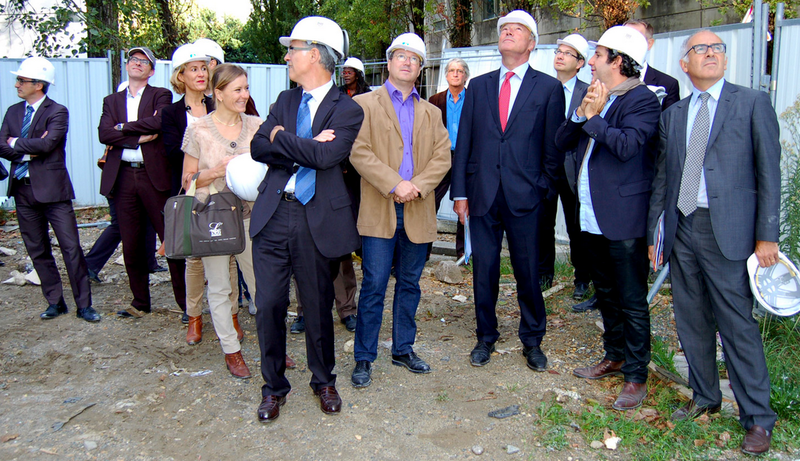 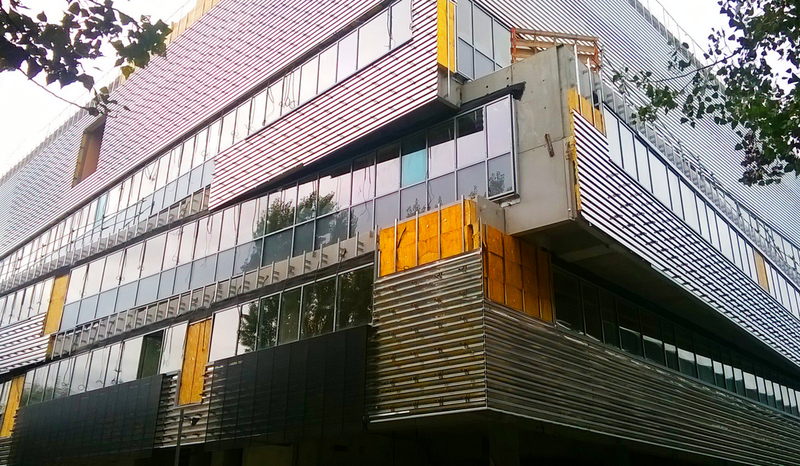 The tour was guided by the architect Franck Vialet who came specially from Paris for the occasion. 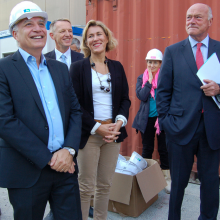 Were also present Mr Manuel Tunon de Lara (President of the University of Bordeaux), Mr Pierre Dos Santos (Vice-President of the University of Bordeaux in charge of research), Ms Gaelle Bujan (Regional Delegate of CNRS), Mr Philippe Leconte (Regional Delegate of Inserm). 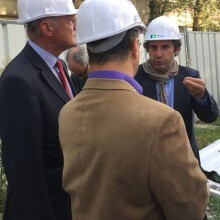 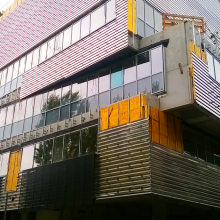 The heads of the concerned laboratories have of course participated in the visit: Mr Pier Vincenzo Piazza for the François Magendie Institute, Mr Daniel Choquet for the Interdisciplinary Institute for Neuroscience, and Ms Celine Vega-Roïatti for the IMN.